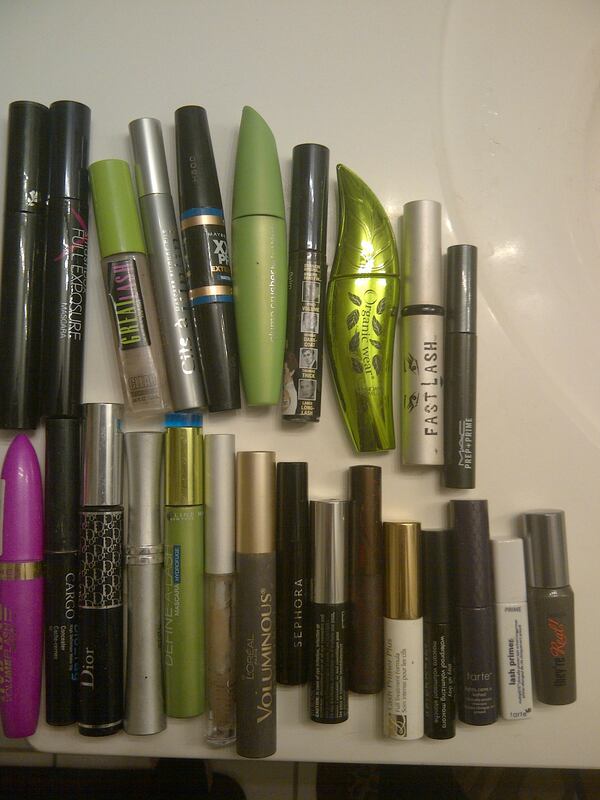 I used to try every single new mascara. When a new commercial came on television with a new formula claiming to do new and wonderful things to my lashes, I would be out the door on the way to the drugstore before the commercial ended. When we started The Neon Leopard I thought that finally my addiction would be warranted because at least I could write about my trials and it would be for a greater good. 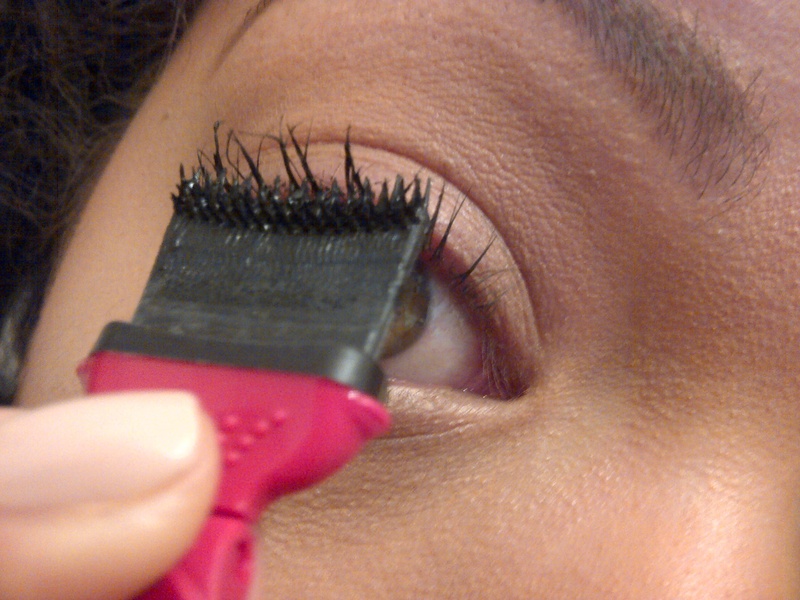 You can read our Mascara Logs intro to learn about my lash sitch. In a nutshell, my lashes are super long but super straight and tangled. In May, I got a lash lift and I can count on one hand the number of times that I have used mascara since. I really only use it on my lower lashes now. That is a huge deal for a former mascara addict. That is the reason my mascara logs have been few and far between. Happy with my natural lashes, I have been able to resist trying all of the latest and greatest. It’s been easier on my lashes, and my pocketbook. However, when I saw the new Avon Mega Effects Mascara, I knew I had to order it right away. It is just looked so different from any mascara I have ever tried, it needed to become a part of my collection. Unlike most mascaras, which come in a tube, Mega Effects is shaped completely differently. The brush looks a bit like a paint brush and rather than having a long wand that you hold to the side of your eye, it has a short handle that you position underneath. Here is what Avon has to say about their new mascara offering: “This breakthrough mascara provides 24-hour volume, leaving lashes darker, denser and more dramatic. Get ready for a corner to corner lash transformation with our first ever Wonderbrush. 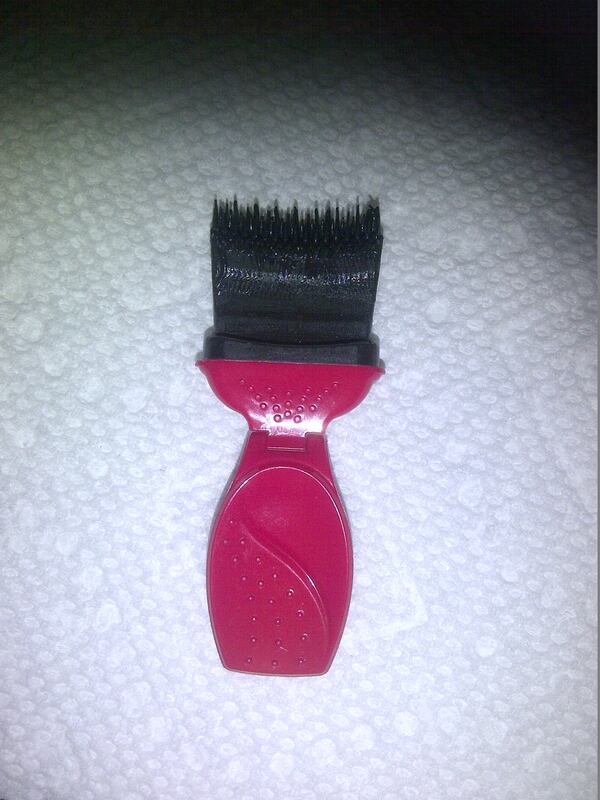 The Wonderbrush bends and adjusts to multiple angles capturing every lash, top to bottom. The unique brush fits the natural shape of lashes, coating them evenly with formula from root to tip. The extra surface area of the Wonderbrush bristles are designed to deliver 40% more mascara to the lash.” The Mega Effects Mascara claims to provide clump-proof, sweat-proof, non-flaking and non-smudging results. 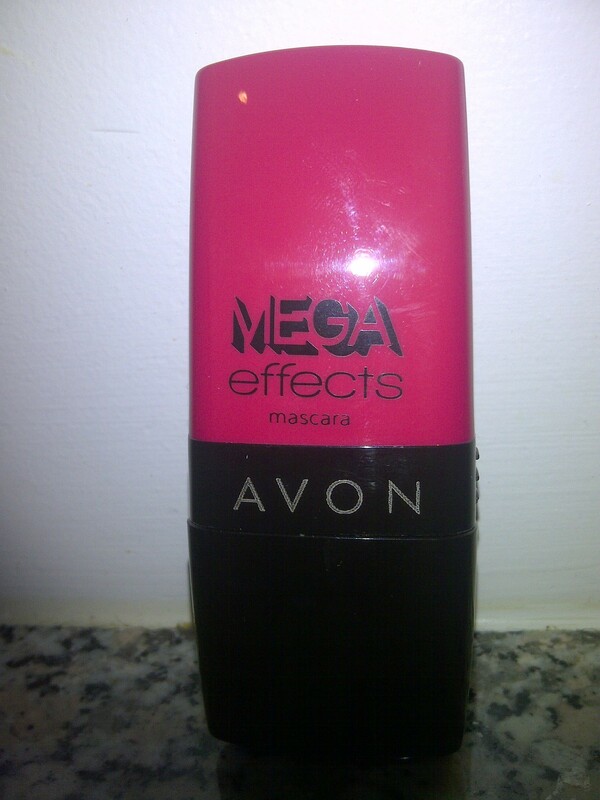 Mega Effects was priced at $15.00 in the Avon catalogue. I choose the black. When I ordered it, it arrived in just under two weeks. My first impression was that although the packaging was really cute, it was smaller than I had anticipated. The Avon website and catalogue has detailed instructions on how Mega Effects is supposed to be applied. Sounds easy, right? Here we go… Right off the bat, I found the Mega Effects awkward to work with. It was difficult to pull out the brush and awkward to hold, but It could just need some getting used to. I positioned the brush underneath my upper lashes and painted them with the brush from the roots to the tip. I found it very difficult to do this without my lashes touching my eyelid and getting mascara on them. This may have been because my lashes are very curled from the lift. Avon claims that the Wonderbrush delivers 40% mascara to lashes than conventional brushes. This is not necessarily a good thing. The brush was depositing too much mascara on my lashes causing them to become a clumpy mess. I had to use a spooly to comb them out and remove some of the excess product. I was not impressed with the Avon Mega Effects Mascara at all. I found it difficult to work with and awkward. The actual formula of the mascara was fine. It was a nice inky black and did not flake or smudge, once in place. But the application difficulty is enough to make up my mind not to repurchase it. 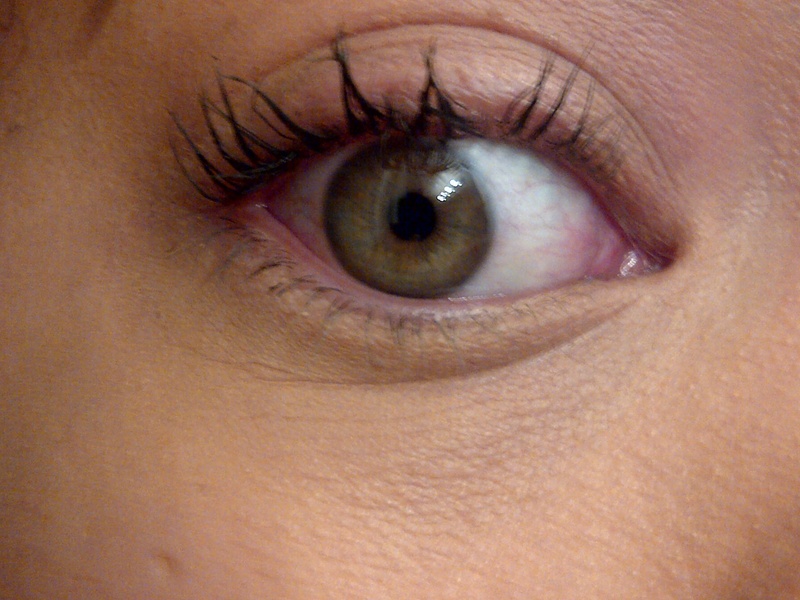 My lashes ended up clumpy and messy. I want to stress the fact that mascara preferences are entirely subjective as everyone’s lashes are different. If you have a similar lash situation as I do though, steer clear of the Mega Effects as it is just too messy and hard to work with. That will teach me to fall for a too-good-to be true mascara advertisement when I was doing just fine mascara-less! Have you tried Avon Mega Effects Mascara? Toronto Natural Hair & Beauty Show… and Haul! “Grip It. Rock It, Bend It. 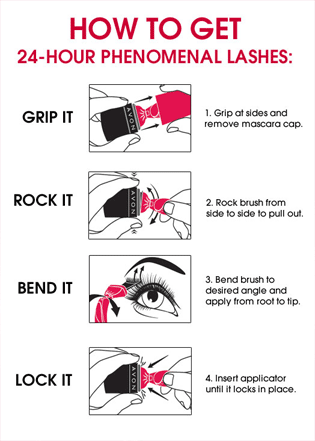 Lock It” fairly certain these are twerkin’ instructions…… I’m just saying Avon. I always see this in the avon book. Always wondered how it would apply!! Thanks for the review, Ash! You are brave for trying out that Avon Mega Effects mascara! I was scared of it just looking at it in the catalogue! Thank you for checking it out and giving such a thorough review. I really like Erica’s suggestion of using a gel mascara and then a coloured one on top – like doing a base coat for your lashes! As for Chris’ twerking instructions comment – OMD, I’m in stitches. She is so funny. Save your moola on this one, it’s a mess!